I've liked this quote since first seeing it and it's been attributed to Jerry Garcia (The Grateful Dead and Jerry Garcia Band). But, it actually came from J.R.R. Tolkien, author of The Hobbit, The Lord of the Rings and numerous other books. It came from this: "All that is gold does not glitter, not all those who wander are lost; the old that is strong does not wither, deep roots are not reached by frost." 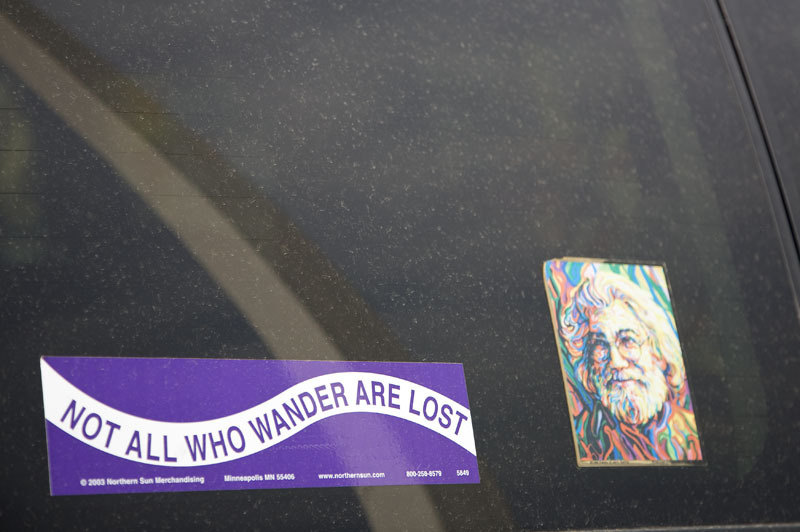 -- with Jerry Garcia.